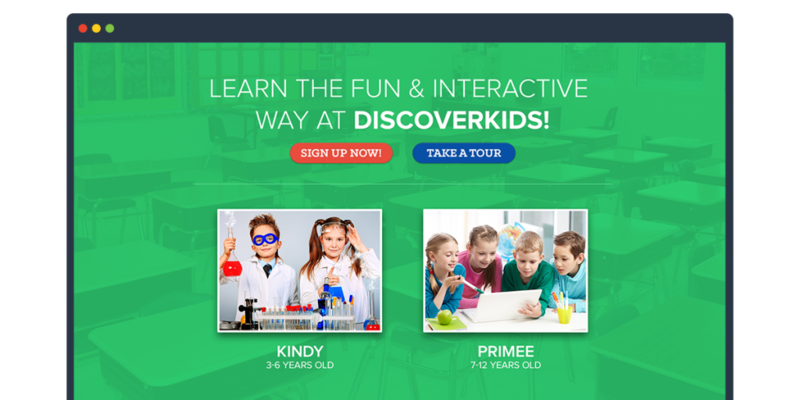 DiscoverKids was an idea that was suppose to be pitched to Maxis together with MMSC Ventures as an education portal for elementary and kindy students in Malaysia. 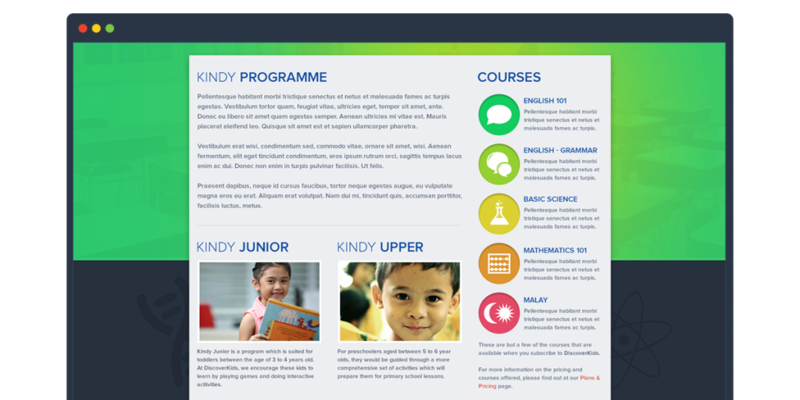 I’ve decided to go with a green colour scheme which matches with Maxis’ corporate identity. 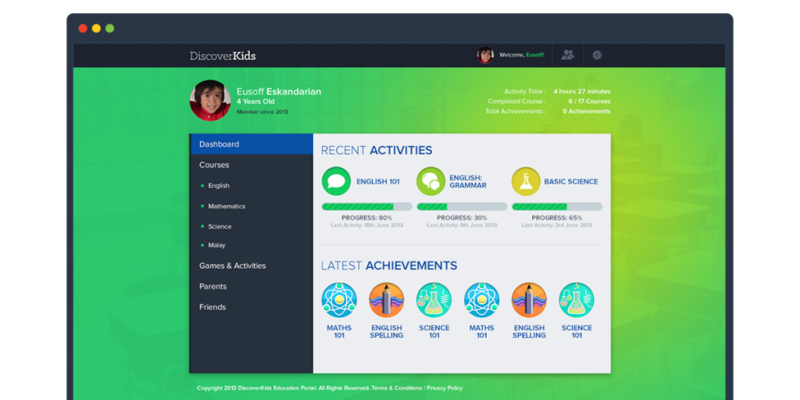 The homepage consists of a hero slider which encourages new users to sign up and also information on the courses that are available. 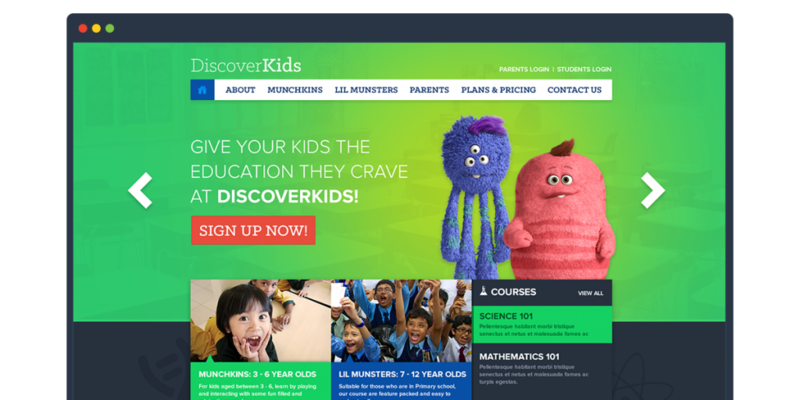 The idea was to used cute monsters as the mascot of the site to encourage the kids to learn and earn achievement rewards for completing a task or activity. 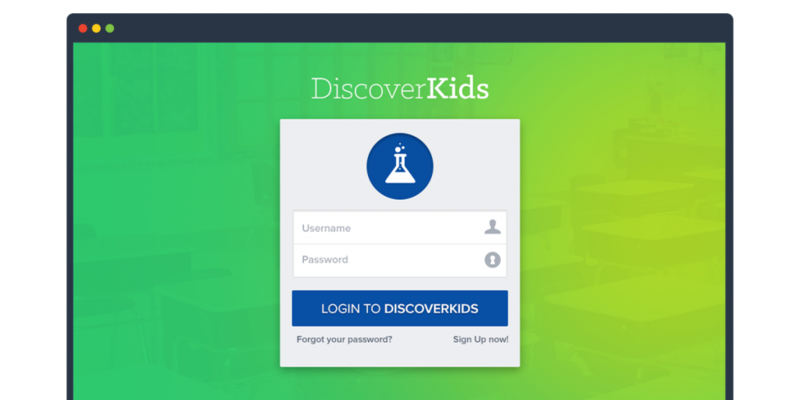 Parents would be able to log into their accounts and monitor their child’s progress.